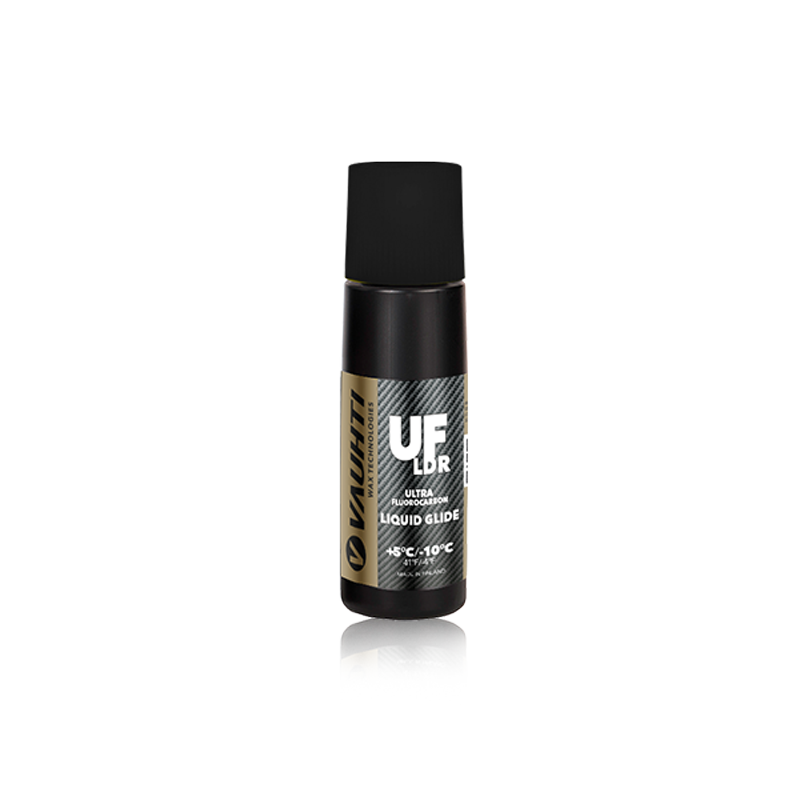 UF LDR is totally new type of liquid glide wax, which combines the best properties of liquid paraffins and top coatings. Precisely selected wax raw materials and extremely high fluorocarbon content guarantees supreme hydrophobicity, dirt resistivity and durability to liquid UF LDR. As a result of the production process development the product contains high dose of pure LDR fluorocarbon powder, which minimizes the surface energy of the base material, increasing the glide sensitivity and durability even further. Wax molecules from the liquids absorb into the base material effectively and gently. The performance of the skis remains for longer time compared to hot melted paraffins. All snow types, especially in old and man-made snow. Improves performance and durability of top coatings. Excellent high-performance glide wax for all kinds of general use, whatever the conditions or distances.